What a whirlwind the last few weeks have been! 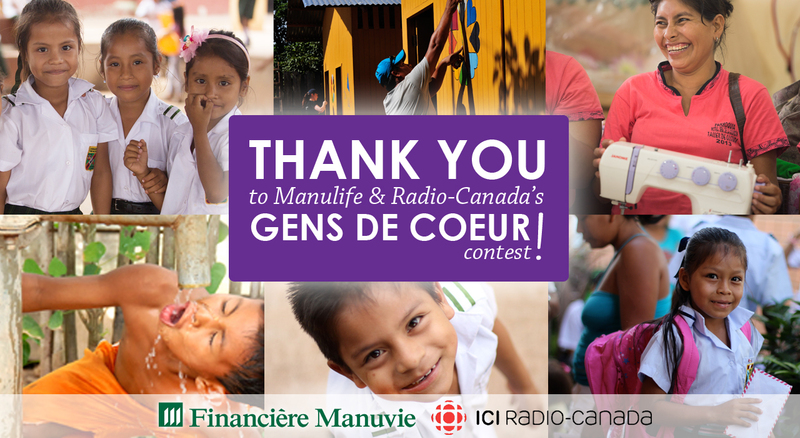 Returning from our 2014 trip to Peru in the last week of March, Co-Founder Brigitte and the rest of the Pure Art team were thrilled to discover that, through the incredible support of all our voters, Brigitte had been selected as Radio-Canada & Manulife’s Gens de Coeur Volunteer of 2014, awarded with 20,000$ towards an organization of her choice: The Pure Art Foundation. This honour is so humbling as it reminds us of the true determination of our community. We are excited to announce that 50 new students like Alexandra (below) are now registered in school thanks to a portion of the funds awarded by Gens de Coeur! Stay tuned for updates on our blog to see how this award will make an incredible difference to our projects!